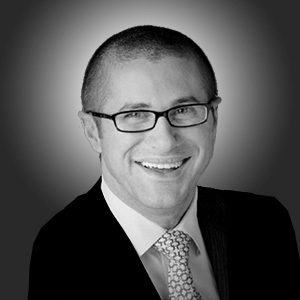 Anthony Abbatiello is a Partner at Deloitte based out of the New York office. Mr. Abbatiello is the global leader of the Firm’s Leadership and Culture business. He advises global clients on building high performance businesses that drive growth and optimization through Human Resources, Leadership Development and Talent Management. Mr. Abbatiello began his career at Accenture helping global clients increase the effectiveness of HR by creating innovative strategies, global operating models and bringing HR into the digital age. He also helped pioneer Accenture's Human Resources Transformation capabilities with the first HR Outsourcing arrangement in the Financial Services industry. Continuing to build expertise in Enterprise Business Transformation, he has led key Mergers/Acquisitions and the transformation of global enterprise functions such as Human Resources, Operations, Finance and Information Technology. At Deloitte, Mr. Abbatiello is responsible for the Firm’s market entry, growth strategy and business operations for the global Leadership business. He has played roles leading the industry and functional Human Capital practices creating innovative HR solutions, researching trends to provide thought leadership, developing practitioners to deliver quality results to clients and supporting global project teams as an HR advisor. Finally, Mr. Abbatiello continues to share his expertise and industry research externally through his Adjunct Professor role at New York University, teaching Masters-level courses in Human Resources Strategy, Organization Development and Change Management.